The University of Missouri is implementing an innovative strategy to save more students more money. Keeping all halls open for fall, winter and spring breaks. Benefit to students: Students will not be billed additional for extra days, saving each student up to $1,330, compared to previous years, billing at $28.33/day. Modifying dining plans to make them easier to understand and more flexible with lower cost options. Benefit to students: The smallest plan available is $100 less a month than the current year. The plan we anticipate students choosing the most is $100 less a year than the current primary plan. Reducing room rates for more than one-third of available rooms. Benefit to students: A true low-cost option, with 15 percent of housing options starting at $5,999 per year ($667/month), for a total annual savings of $430 compared to lowest rates for current academic year. Over a two year period, these rates have decreased 11.4 percent. Students will be able to live and dine on campus for as low as $850 a month — a total savings of nearly $150 a month compared to the lowest-priced option for the current academic year. When combined with the primary dining plan, more than 83 percent of students will pay less next year for on-campus housing and dining. 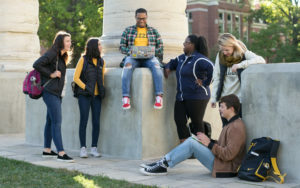 Offering free summer 2019 housing for returning students who select rooms in 365 residence halls for the 2019–20 academic year. Benefit to students: Savings of $1,255–1,755 per student. Consolidating the pricing structure by reducing the number of price points from 12 to 8. Benefit to students: Students can move between residence halls and not be charged extra for a room that is comparable, but was previously priced differently. Adding ability for incoming freshmen to preference price over other variables (room style, location etc.). Benefit to students: Ensures students who are price sensitive can be placed in the most affordable option available. Engaging publishers and content distributors to add to our suite of solutions that support the A&OER initiative. Benefit to students: Decreases the average cost of course material per class 7 percent (from $73 to $68), saving students $3 million across our four universities. Dining plans are required for first-time college students.